I'm currently working on two shows for 2014. I'll be sharing the billing with Karen at Tree's Place Gallery the last week in July. A few weeks later I'm participating in a still life show at C.K. Contemporary Gallery in San Francisco which is scheduled for the first week in September. Needless to say, I may have I've bitten off a bit more than I can chew. Since my timeframe is so short I took Karen's advice and decided to do a few small pieces to flesh out my part in these events. Working small like this really took me back to my old ebay days. For years this was my stock-in-trade. 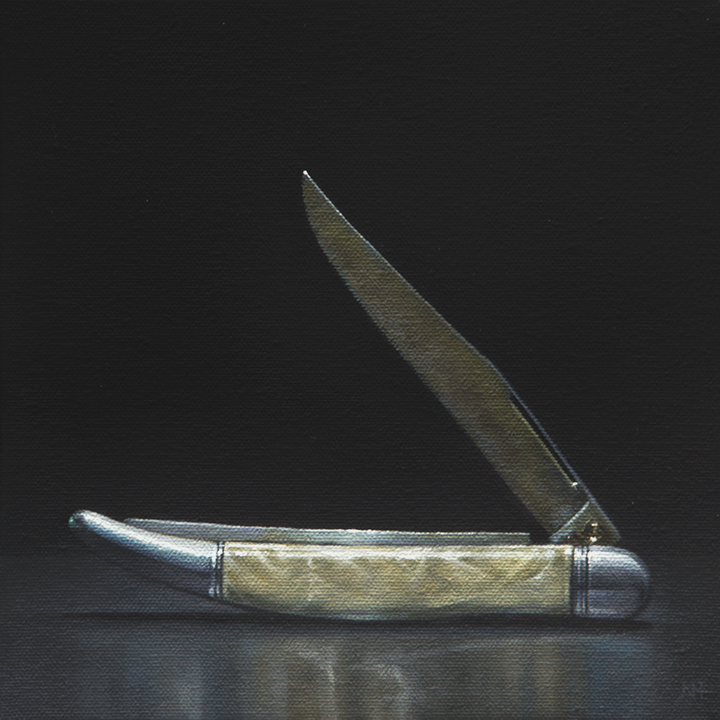 So far I've done two of these smaller paintings. I'll post the second in a couple of days. It has been fun, but I'm really looking forward to a new larger painting that I can sink my teeth into. Two of those are on the drawing board now. 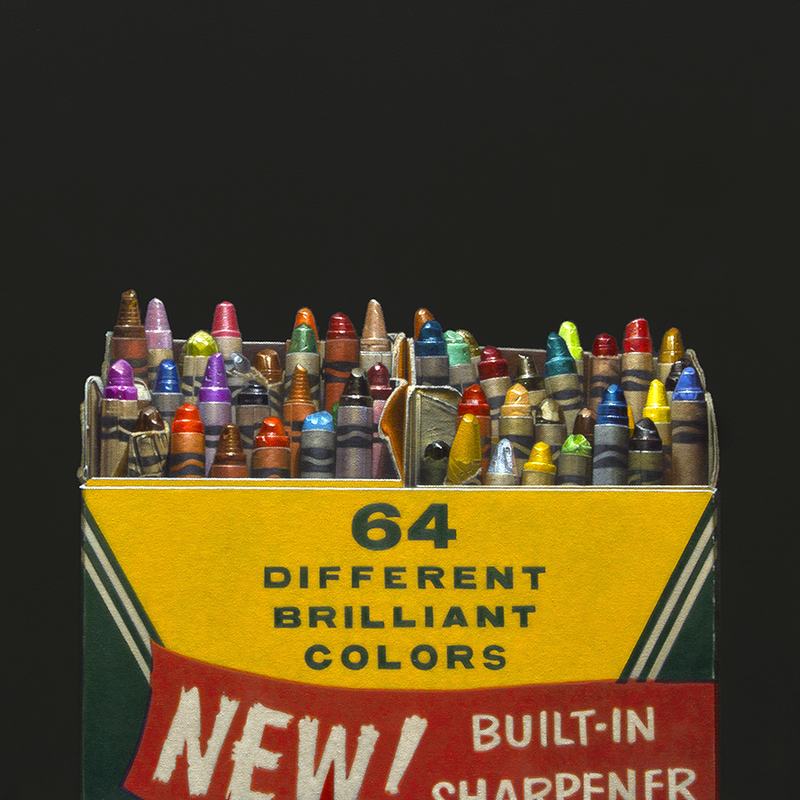 Karen discovered this box of vintage Crayola crayons on ebay a while back and I've wanted to paint it ever since. I asked her permission to use it, and it was granted. The box says 64 different, brilliant colors, but I think the total of this box is somewhere in the fifties. I guess some got lost or just used up over the years. I'll be shipping this painting up to Cape Cod for a show Karen and I are sharing at Tree's Place Gallery this July. However, it was so fun to paint that I think I'll do another for a still life show I'm participating in at C. K. Contemporary in San Francisco this September. 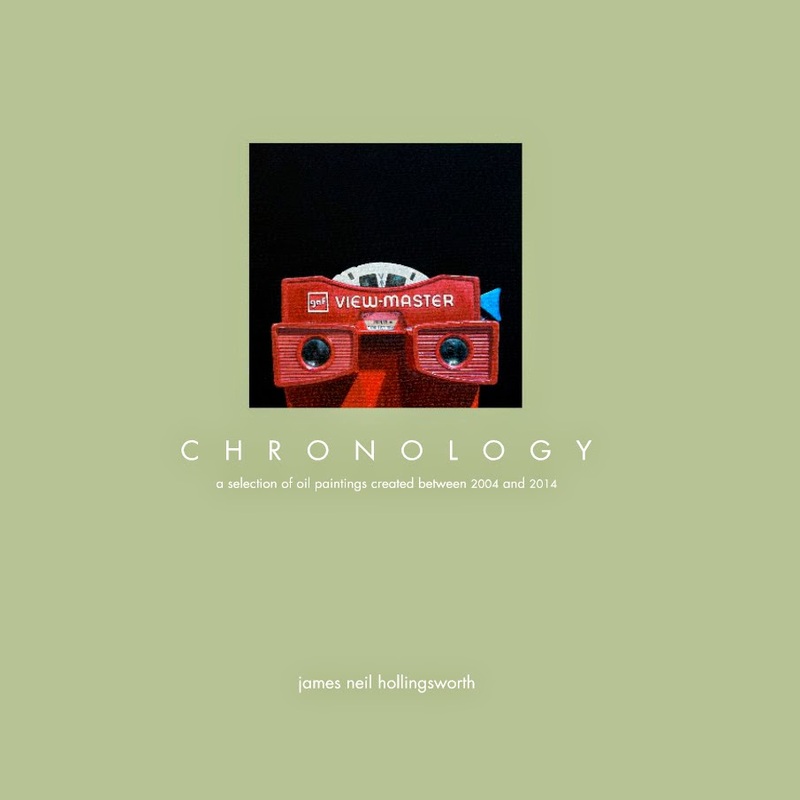 I officially quit my day job in 2004 to paint full-time, so I thought it would be a good idea to put together a book highlighting some of my favorite pieces created during the last ten years. My archiving process is not perfect, so I'm sure on a few of these paintings I've written either the date, title or dimensions incorrectly, but I'm pretty confident that the majority are labeled accurately. The books dimensions are 12 inches by 12 inches, hard cover with a dust jacket. It's 86 pages long and available for purchase through blurb. The book is expensive, but 90% of the cost goes to blurb. There is an eBook version for those who have iPads. It downloads into the iBook app and is only $9.99. The link below will take you to my bookstore on blurb where you can preview 15 pages of the book and if you like make a purchase. Way back in 2009 I received a commission to create five paintings for the boardroom of a large printing company here in Atlanta. They produced the packaging for a number of clients including: Reeses, Coca Cola, Nabisco and many others. Before we started they gave me a long list of their clients to choose from. I went to the grocery store and picked a variety of items who's packaging, I thought, was the most interesting/iconic. I then put together some comps and they choose the five they liked best. 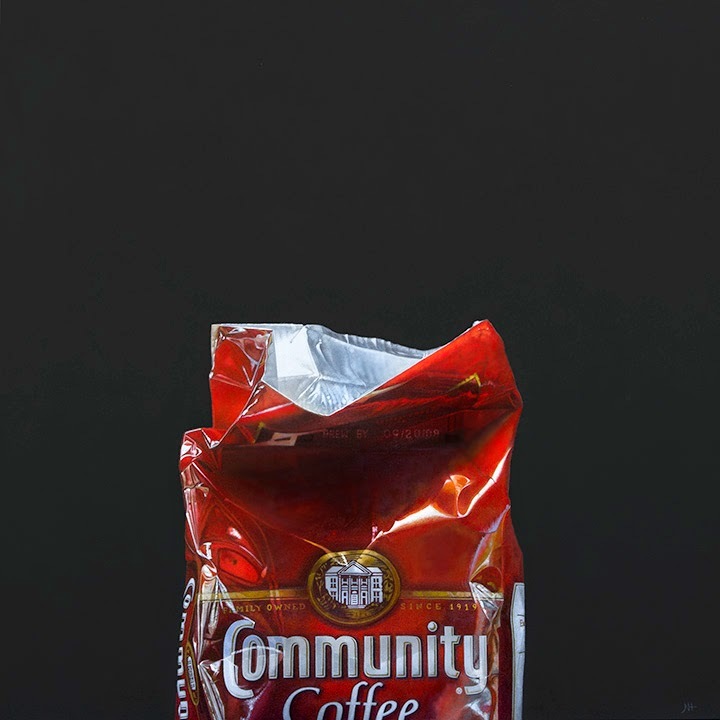 To my dismay one of the companies that didn't make the cut was Community Coffee. I had really wanted to paint all that crinkly, shiny red. Later that year I did paint a six inch by six inch version of this composition for auction on ebay, but I always wanted to do it big, so . . . I did. I'm working on two realism shows for 2014. One for Tree's Place Gallery in July and another at C. K. Contemporary in San Francisco in September. This piece will be heading up to Cape Cod for the Tree's show.